What? There are boat shows going on outside of Miami this weekend? We already told you about the biggest of boat shows this weekend... the Miami International Boat Show and Strictly Sail. But if you can't be in South Florida, there might be a boat show near you. 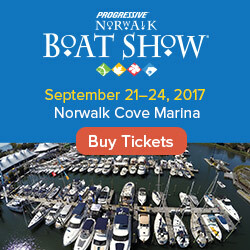 There are several boat shows happening outside the US, as well as a few good boating and fishing shows throughout the United States. This weekend's domestic events include shows in Detroit (2nd weekend) as well as across Michigan in Grand Rapids. There are also boat shows in both Syracuse and Saratoga Springs, NY, but they are named the CNY and the Wilton Boat Show, respectively. Baton Rouge, Louisiana, is holding a boat and sport show, and Charlotte, North Carolina, is home to the Mid-Atlantic Boat Show this weekend. Here in our home state of Connecticut, you'll find a nice selection of small to medium sized fishing and sport boats as well as a host of fishing seminars, deals and activities for the whole family at the Northeast Fishing and Hunting Expo. This show kicks off at noon on Friday at the Connecticut Convention Center (near the Science Center in Hartford), and runs through Sunday afternoon. More info at the official show website. Something FREE for FirstBoat fans: Visit the BoatNameGear booth and ask for a free FirstBoat hat or T-shirt. That's right, just ask. We'll be doing that again next week at the New England Boat Show in Boston, which runs from February 26 - March 6, 2011, at the BCEC. 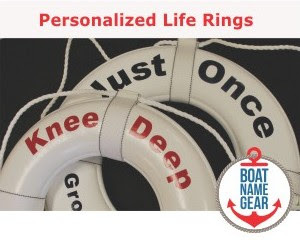 Just go to the show, visit the BoatNameGear booth, and tell them you're a FirstBoat fan to qualify for free stuff. More details about the Miami Boat Show and Strictly Sail, and all the boat shows happening this weekend and beyond can be found on our boat show calendar.